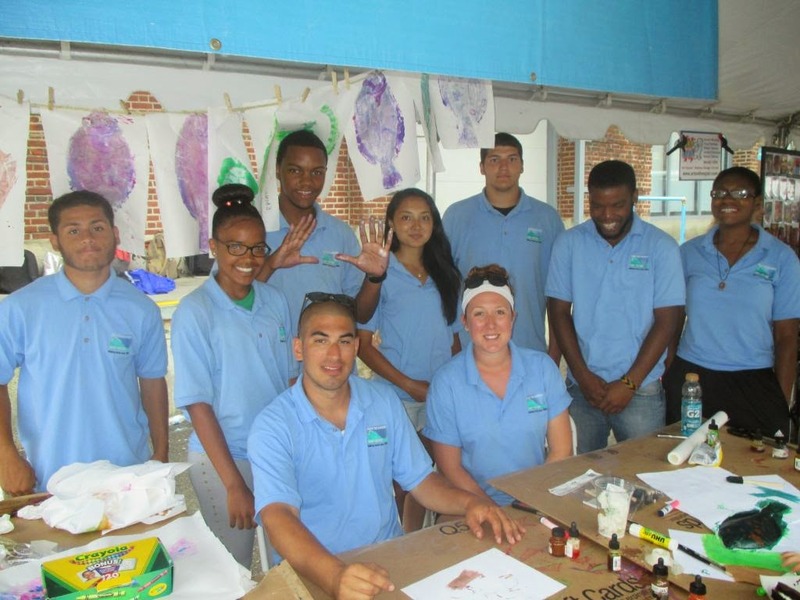 Sunday was a fun day going out the Boston Sea Food Festival and letting kids make some fish prints. It was nice see the kids face fill up with joy when they were painting their fishes and putting the paper on top to see what the came out with. 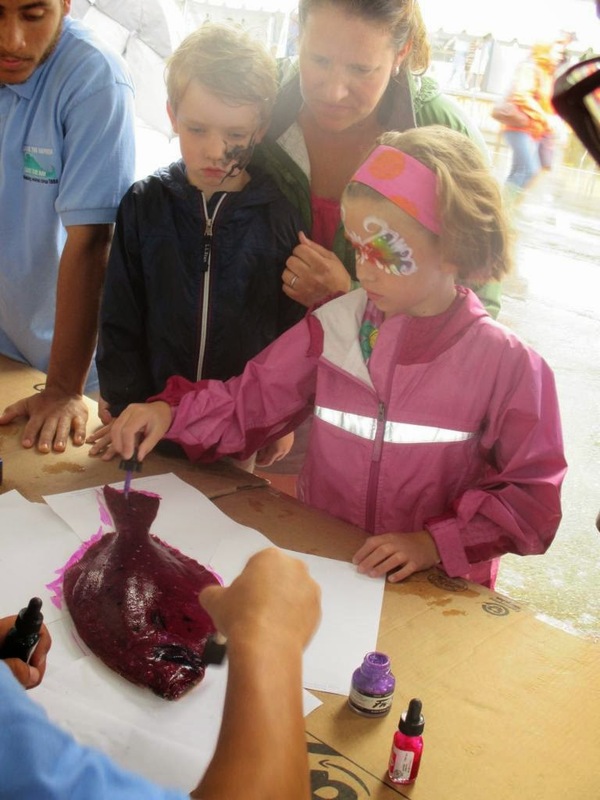 It wasn't just the kid who wanted to paint the fish, there were adults who came up to paint some fish. The funny thing about this was to see the reaction on peoples faces when they came up and ask if the fishes we were using were real fish and when we said yes the face they made were funny. But most people didn't seem to mind, some thought that it was pretty cool. The best part for people was to know that all the drawings that people made were going on a big mural. A nice thing about this day was seeing all the things around like someone dressed up as Jack Sparrow. I thought that it was Johnny Depp. There was also different things there like right beside us there was a face painting table. Over all I think that it was a pretty good day. Even though it was raining everyone enjoyed being there.